A rental lease contract can be drafted very easily from your home computer. There is no set way to draft a lease agreement. But a solid rental agreement should contain certain components in case the lease is ever questioned, or needed as evidence in a court of law. You can purchase lease agreements at any office supply store or you can write one yourself for free. This Rental Agreement or Residential Lease shall evidence the complete terms and conditions under which the parties whose signatures appear below have agreed. Landlord/Lessor/Agent, ____, shall be referred to as "OWNER" and Tenant(s)/Lessee, ____, shall be referred to as "RESIDENT." As consideration for this agreement, OWNER agrees to rent/lease to RESIDENT and RESIDENT agrees to rent/lease from OWNER for use solely as a private residence, the premises located at ______in the city of _______. Include the "Terms of the Lease" this should include the length of the lease (e.g. one year or month-to-month). Insert "Payment Terms." This includes how much rent will be charged, when rent is due, and how rent should be paid (e.g. check, money order, cash). Also include any security deposits due, and any late charges that will be assessed if a rent payment is not made on time. Enter in any "Expectations of the Occupant." This section of the lease will include how many occupants are allowed to live on the premises, if pets are allowed, what will be done about excessive noise complaints and other disruptive issues, parking, utilities (if the occupant will be expected to pay certain utilities), and any other rules. List "Inventory" inside the unit, such as a washer and dryer, or lawn mower. Have the tenant sign, verifying that this inventory belongs to the property owner. State the condition of the unit. 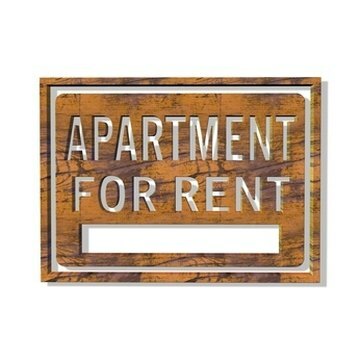 The tenant(s) and landlord should walk through the unit together and note any problems, such as holes in the wall, and both parties should sign to attest to that. Sign the agreement. Both the tenant(s) and the property owner should sign the agreement and date it. Kingston, Si. "How to Make Free Rental Lease Forms." , https://legalbeagle.com/6184368-make-rental-lease-forms.html. Accessed 19 April 2019.